Samsung has made a big deal about the Galaxy SIII smartphone, not only choosing to launch it at a big and glitzy standalone event in London but also claiming nearly 10 million pre-orders before it's even launched. The SIII runs latest Android 4.1 system, with whopping 4.8-inch Super AMOLED HD screen and a whole suite of Apple-beating features, it’s really an top-end phone. It is easy to transfer videos to Samsung Galaxy S III for playback, as this new Samsung flagship handset supports universal popular video codecs and formats- H.264, DivX, XviD, MPEG4, H.263, WMV, AVI, 3GP, etc, and performs excellent in HD movie playback per reviews and hands-on experience. How about the Galaxy S III playing Blu-ray movie collections? 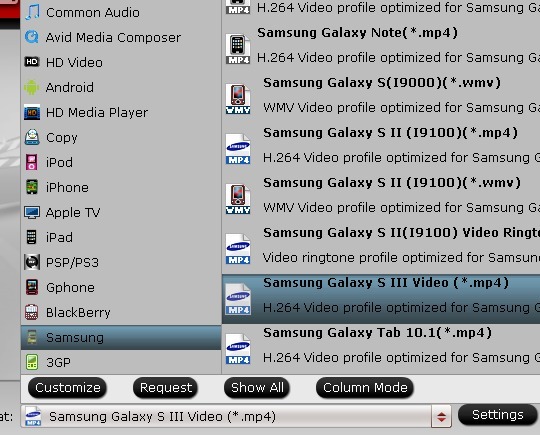 Follow this guide to get your Blu-ray and DVD compressed for watching on Galaxy S3. Step 1: Free download Galaxy S3 Blu-ray Ripper, install and run it. This Blu-ray to Samsung Galaxy S III converter loads movie from DVD, DVD ISO, VIDEO_TS folder, Blu-ray Disc, Blu-ray ISO, and BDMV folder. Click “BD/DVD ROM”, or “BD/DVD Folder” to add Blu-ray movie files. Tip. To watch movies on Galaxy S3 with subtitles: select the main movie, and set subtitles language from the drop down list of Subtitles. Click on the drop down list of “Format” and choose “Samsung>> Samsung Galaxy S III(.mp4)” format. This format gives you a stunning picture quality, enabling users to watch Blu-ray on Samsung Galaxy S3 and other Galaxy handsets. Step 3: You can customize the output settings before convert Blu-ray videos to Galaxy S3. Step 4: Convert Blu-ray/DVD to Samsung Galaxy S III Android phone. 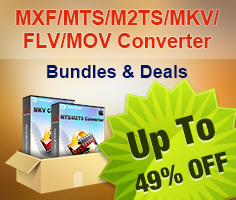 Now just click “Convert” button to rip Blu-ray/DVD to Samsung Galaxy S III supported format. You can use a more efficient computer or take advantage of GPU accelerating to shorten the processing time. 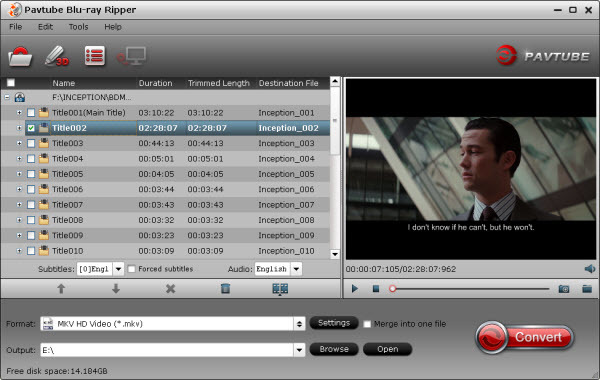 Note that a trial converts movie with a watermark on the screen. Click “Open” to locate the converted movies for Samsung Galaxy S III, and then you can use Samsung Kies to transfer/sync movies to Samsung Galaxy S III memory card. And then you can watch movies on Samsung Galaxy S III freely. You can also try Video Converter if you wish to convert MKV, AVI, TiVo and other common video formats for S3; to play iTunes and Amazon instant videos on S3, please try ChewTune, it will help you convert DRM protected video files.